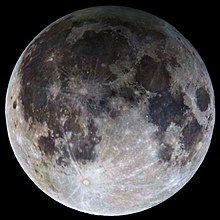 A penumbral lunar eclipse took place on September 16, 2016, the last of three lunar eclipses in 2016. It was visible from Europe, Africa, Asia and Australia. This eclipse is the one of four lunar eclipses in a short-lived series at the descending node of the moon's orbit. A lunar eclipse will be preceded and followed by solar eclipses by 9 years and 5.5 days (a half saros). This lunar eclipse is related to two partial solar eclipses of Solar Saros 154. Wikimedia Commons has media related to Lunar eclipse of 2016 September 16.